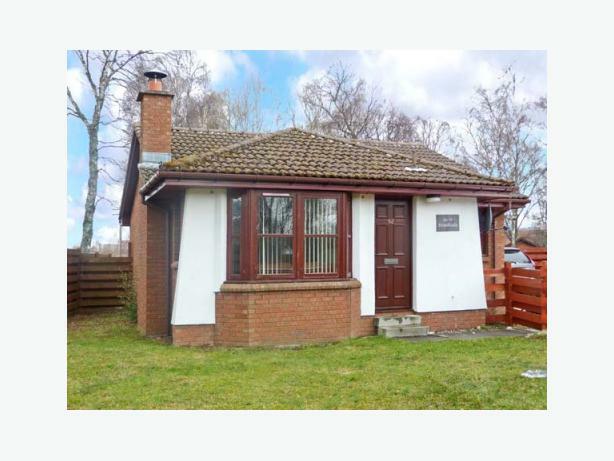 A very tastefully presented detached bungalow, ideally located on the outskirts of Aviemore in the desirable Cairngorms National Park. Very well-appointed throughout, this Aviemore cottage is ideal for a family or friends who appreciate the excellent location coupled with the diverse and exciting outdoor pursuits available on their doorstep. With the accommodation all on one level, this bright and spacious Aviemore cottage has a contemporary fitted kitchen leading into a sociable sitting room with a welcoming open fire. In this Aviemore cottage there is a generous double bedroom, and a lovely bedroom with bunks, which also has a folding single bed providing that little extra bit of flexibility if so required. The rear garden outside this cottage in Aviemore is fully enclosed and private, and the small, front enclosed garden has a seating area. Within a few minutes' walk there are good local services, and a pretty pathway leads right into the town of Aviemore where the array of shopping and dining out opportunities is vast.